I have a real thing about bugs. 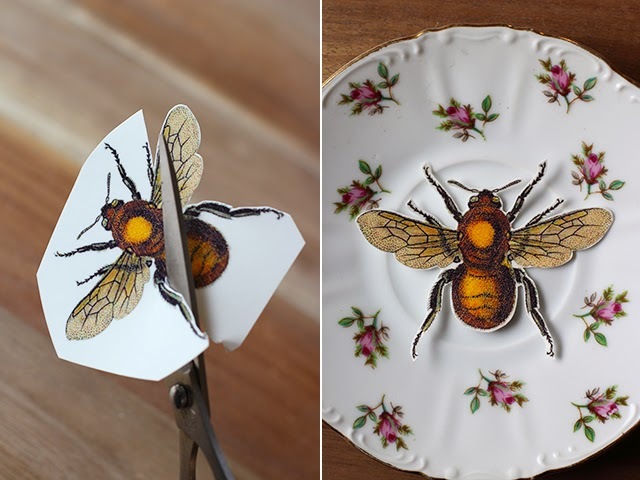 Bugs and insects, all things creepy crawly. Not in real life I admit but on china, walls, glass wear and fabrics - I can't get enough of them. I found this post by Erica at Honestly WTF and had to share her genius new DIY. My past few months have been off the scale busy and after today - I'm hosting a flower crown making workshop at Wilderness Festival - things are getting calmer again. So this week I'm going to dedicate a whole day to insectifying my house. 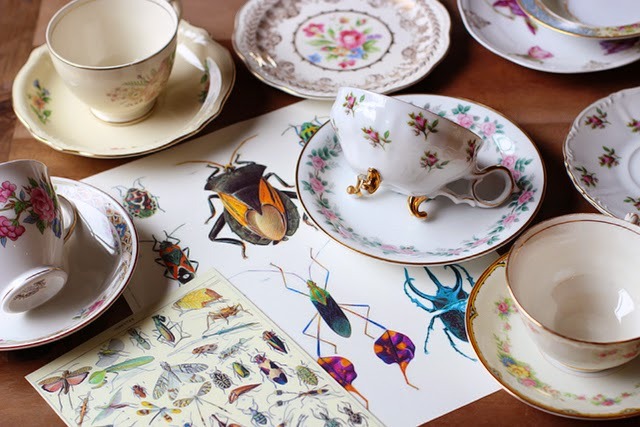 "My collection of vintage china is growing at a concerning rate. 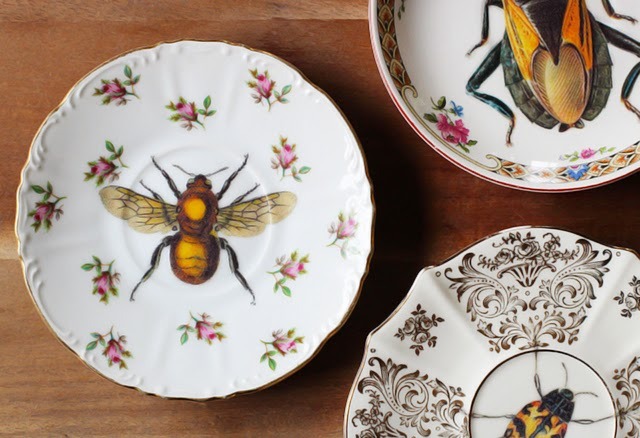 I’m addicted to scouring flea markets for the finest porcelain and snatching up affordably priced mismatched sets online. 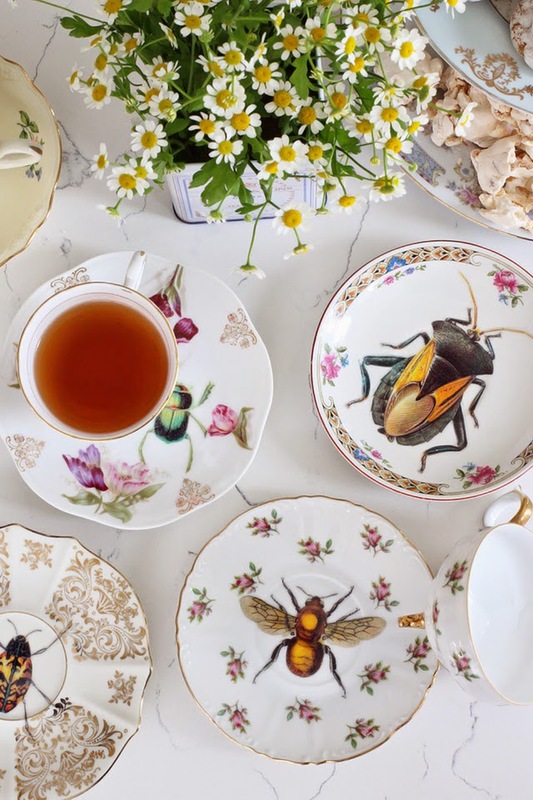 But honestly, what is one to do with all those saucers, tea cups and dinner plates?! 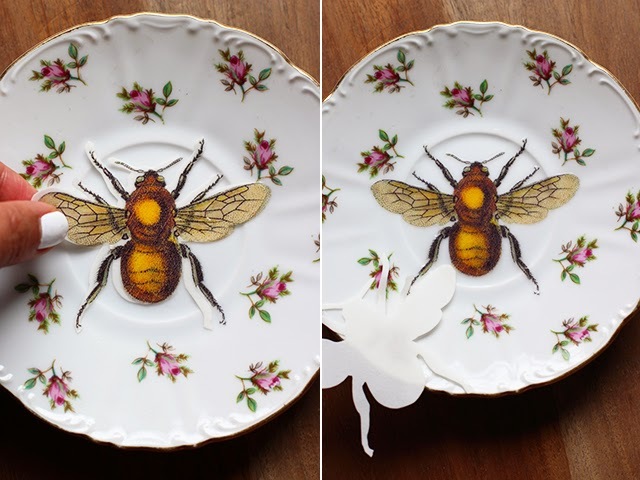 When I saw Melanie Roses' upcycled vintage plates in London last summer, I was instantly inspired to DIY my own. No ifs, ands or bugs. And now finally, after some trail and error, I’ve finally narrowed down the proper materials and mastered the right technique. Thank goodness for all those spare plates!" Start by printing images onto the glossy side of the waterslide decal papers. Let to dry completely before spraying the sheets with a coat of urethane clear coat. Allow to dry completely and then cut the images out carefully, leaving as little white space as possible. Place onto the plates to determine positioning. 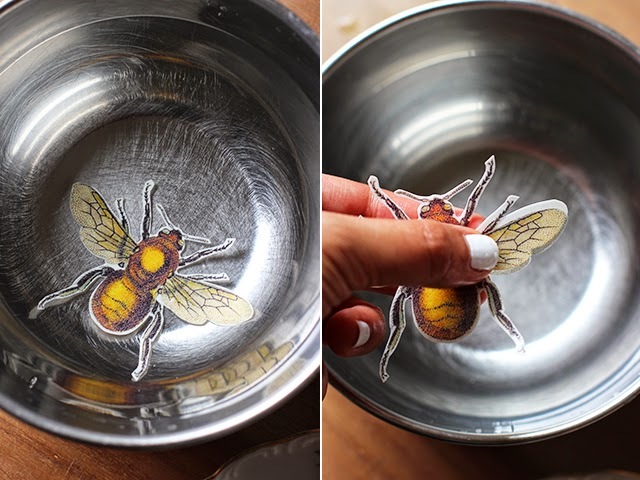 Place the decal in a bowl of warm water for about 15 seconds. When the decal separates from the liner, just by moving it between your thumb and finger, then it is ready to apply. Place the decal onto the plate, with the liner still attached. Gently slide the liner from beneath the decal using your thumb and index finger. Smooth out any folds or bubbles with your finger. Gently blot with a paper towel and allow to dry for at least an hour. Note that I’ve added the decals to saucers and not dinner plates or tea cups. These decals are not food safe and should not be put into a dishwasher or hand washed. If you need to clean it, simply wet a paper towel or rag and spot clean. 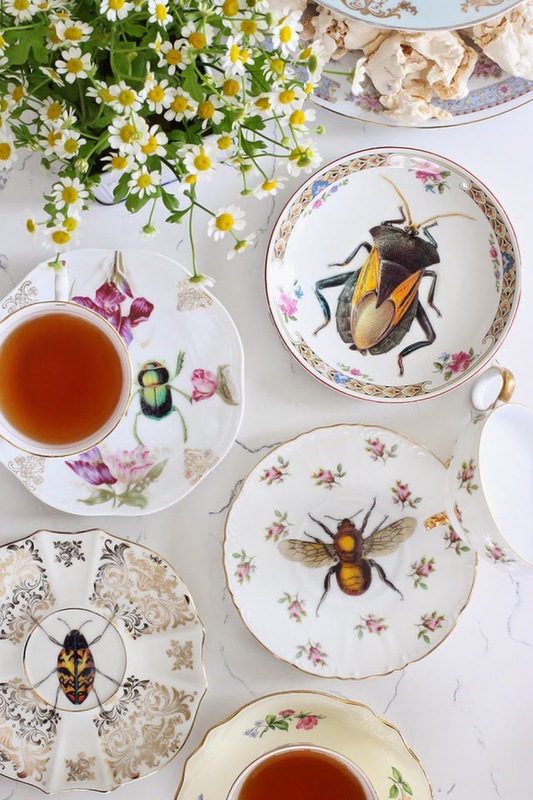 Use as saucers for tea cups, jewellery trays, or even wall art!